"We're right on the way"
Pets are welcome but must be on a leash. We also have 3 large pet runs that your pets can run free in at any time. 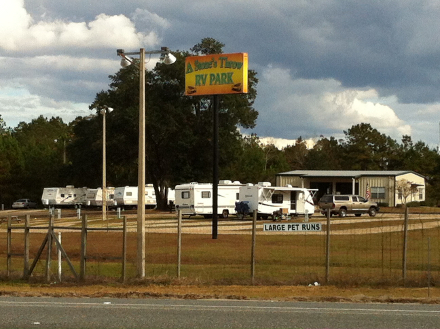 Go south of I-10 on U.S. Highway 19 .1 mile and turn left between the BP and McDonalds (Aim for the Days Inn sign). Turn left in front the Days Inn sign and drive 200 yards. Copyright© 2017. All Rights Reserved 97 Cumberland Dr.